A Dandenong Ranges stand-out: The Blackwood, Sassafras (photo: Jocelyn Pride). Being so close to Melbourne, the Dandenong Ranges is renowned for its collection of ultimate city-dwellers’ escapes – particularly its beautifully renovated cottages. Here are the pick of Jocelyn Pride’s bunch. High in the treetops is Lochiel Cottages (from $350 per night) which, though located in the heart of Olinda, is hidden in two hectares of rainforest. With a ‘no lace’ policy, the contemporary, tri-level timber cottages bring the outside in on every level, from sitting on the balcony listening to an orchestra of birds or soaking in the large spa to relaxing in front of the open fire. Owned by local Alan Olney, the tariff also includes breakfast at his popular Ranges restaurant nearby. Also in Olinda is snuggle-up-in-front-of-the-hearth Wild Orchid (from $460 for a two-night stay). Nestled in the trees, the exterior is straight out of a fairytale and the surprisingly spacious interior is elegant, but super cosy. Expect to be spoilt by mother-and-daughter team, Delyse and Samantha Jenkins with a generous grazing platter and bubbly on arrival, a fridge bursting with local provisions for breakfast and complimentary slippers waiting by the front door. 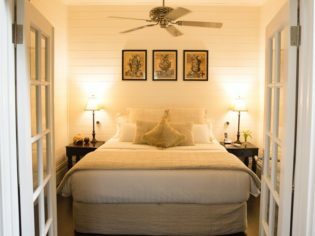 The upstairs bedroom is dreamy – white-washed wooden walls and vaulted ceiling with a stylish sleigh bed, swimming with pillows – and a private deck looks into the trees. There’s even a telescope set up for stargazing. 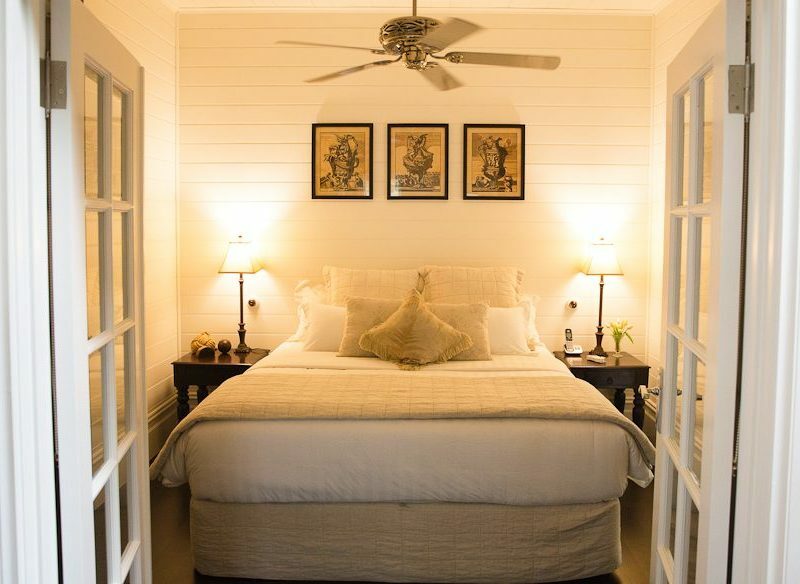 And for a splash-out The Blackwood, a one-bedroom luxurious retreat in gorgeous Sassafras (from $310 per night) is the stand-out. Owned by Melbourne interior designer Justin Bishop, The Blackwood’s combination of contemporary design and the traditional setting takes country living to another level. Each nook and cranny of the spacious lounge, bedroom, kitchen, bathroom and private deck looks and, more importantly, feels just right. Elegant vintage furniture and quirky collectables blend with the indulgences you’d expect in a five-star escape – Nespresso coffee machine, fluffy bathrobes, complimentary slippers, free wi-fi, gourmet mini bar, full size hairdryer, large spa. If you fall in love with The Blackwood (and you will), Justin runs styling design workshops throughout the year and also offers home consultations – so you too can live the country lifestyle of the Dandenongs.